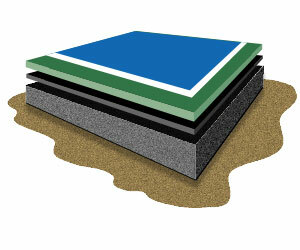 Supercushion, 10-12-layer surface court works ideally for tennis clubs, stadiums, and professional courts. Made especially for the tournaments level. Made in USA.